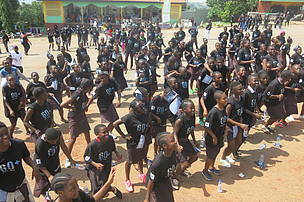 Earth Hour is a worldwide movement organized by the WWF. The event is held annually, encouraging individuals, communities, and businesses to turn off non-essential electric lights for one hour, from 8:30 to 9:30 p.m., on a specific day towards the end of March, as a symbol of commitment to the planet. It was started as a lights-off event in Sydney, Australia, in 2007. Since then, it has grown to engage more than 7,000 cities and towns across 172 countries. Over the next three years, Earth Hour will take on a different focus. 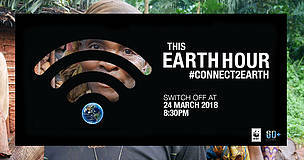 In this Earth Hour, we want people to “Connect2Earth”. We use the most open-source possible to spark conversations around biodiversity by embedding the wifi icon in our target audiences. 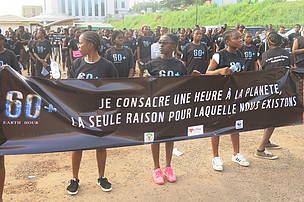 WWF Cameroon used the Earth Hour campaign to raise awareness on Forest and the important role it plays in biodiversity conservation and for man. Earth Hour 2018 objective is aligned to Aichi Target 1 – driving awareness, conversations and actions in the public and media about the importance of biodiversity and the danger of its loss. The campaign brought together millions of people worldwide to take action and understand the interconnectivity of people and our environment; that is biodiversity/Earth and its impact on climate change, and vice versa, through relevant issues such as air, water, forest, and energy. 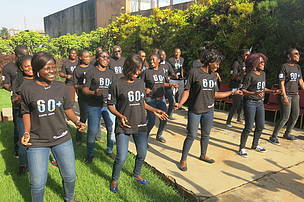 What do we want to do differently in Cameroon? 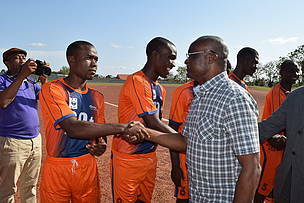 Unlike the past two years in Cameroon, "Connect2Earth" messages were done in local languages and in the two official languages,thus providing the best for everyone to feel part of the campaign.